The Hubley Case starts and ends with highly dramatic killings, one of a good man and one of a bad man. I’m not sure whether this ratio was maintained throughout the book. It wasn’t always that easy to tell the goodies from the baddies. Suffice to say there was a high body count. One man it would be impossible to find a good word to say about is Dominick Riddle. He thrives on making millions/billions by orchestrating high-powered intelligence scams and terrorist atrocities. He achieves his nefarious goals in many different ways – paying exorbitant fees to talented crooks, blackmailing decent professionals, and having people executed if their deaths either consolidate or get in the way of his plans. He also has the charming habit of regularly “clearing out his colleagues” so there is nobody left to incriminate him in any of the wrongdoings. Peter Hubley was a decent, honest, businessman who happened to get wind of Dominick Riddle’s latest scam. Peter was, of course, murdered- very publically. He was then effectively assassinated for a second time when Riddle’s misinformation guru spread false rumors about virtually aspect of Peter’s life and character. Ben Siebert is an ex-Marine. One assumes he was thrown out of the Marines because the Robin Hood side of his character got the better of the James Bond side of his character once too often. Unfortunately for Riddle, Peter Hubley’s wife Sally is one of Ben’s best friends. When Sally asked him to find out why her husband had been killed Ben couldn’t refuse to help her. It isn’t long before Ben discovers that he isn’t the only one on the case, Nikki Benton, a diligent and glamorous FBI special agent is also investigating Peter Hubley’s death. Ben and Nikki have to work hard at trusting each other but helped and hindered by friends and colleagues they eventually work out what was ultimately behind Peter Hubley’s death. The Hubley Case is an entertaining, action packed thriller that I thoroughly enjoyed reading. Ben Siebert is another of today’s superhuman characters. He is good at everything but still presents as a vulnerable and honorable human being – albeit one who is good at killing. I imagine we will be hearing more of Ben. J Lee was born and raised in Illinois. He graduated with dual degrees in Engineering and Sociology from Duke University. 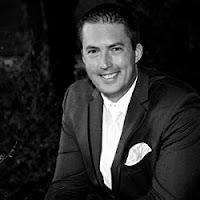 He worked in Engineering, Marketing, Product Management, Program Management, Supply Chain and Operations, but always wrote in his spare time. It started as a hobby, a creative outlet that helped him balance the stress of a day spent in numbers. Then at some point, it morphed into a passion. 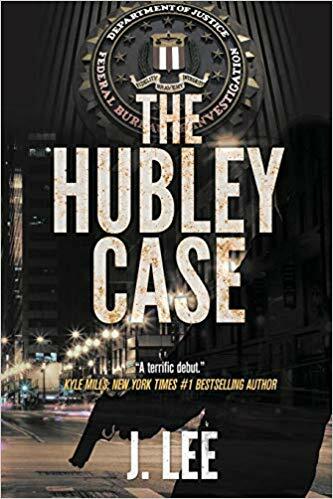 The Hubley Case is his debut.